Pokemon Go is the latest craze to sweep the nation. This is a game that people play on their phones, searching for animated creatures in real-world places. The game has gotten some people into trouble. Several have been asked to leave cemeteries, where the players could possibly be a nuisance to people who are grieving. Others have been issued citations for trespassing on private property. A 15-year-old girl in western Pennsylvania had to go to the hospital for treatment after being struck by a car as she crossed a busy highway while playing the game. Still, many people continue to play Pokemon Go. If only Christians would take so seriously the command Jesus gives us to “Go”! 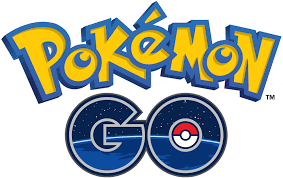 This entry was posted in Christian Living, Culture, Current Events and tagged evangelism, Great Commission, illustration, make disciples, Matthew 28:19-20, Pokemon Go, witnessing. Bookmark the permalink.